My stomach was killing me. If you are a single anywhere in the world, even in Mexico, you will probably will be chosen as the most likely candidate to dog sit. My stint at the home of a friend in the heart of Mazatlán wasn’t long enough to grocery shop or cook in an unfamiliar kitchen so I’d lived off a roast chicken and some granola I’d found in the back of the cupboard. Now taking a break from the job and sitting under a palapa back on home turf at Mazatlán’s El Cid beach, after days of chicken and walnuts, my gut screamed for a salad. Instead, I gave it the only thing I had; the upside of a boogie board. Stretching myself over it and paddling ferociously, I hoped the torsal lengthening would relieve the pain. The siren call of a creamy gold-pink sunset beckoned me and I swam for it, the board in front of me. Quite a ways offshore and alone in the sun’s growing neon gaze, I experienced one of those rare transcendental moments, a feeling that I could actually join that sun, ride off with it. It was the feeling you get when you look at the iconic “The Endless Summer” surf posters. Paddling toward the sun, the moment lasted forever, was fixed and unforgettable. I had picked a point to swim to. Soon, the current suggested I’d been a little too arbitrary in setting my goal. Turning around, after a few kicks I knew it was going to take some real work to remain on the correct side of the jetty. After several energetic spurts, I still didn’t seem to be gaining any distance toward shore. It was a familiar feeling, that glint of panic. All my life, my most joyous moments almost always have been on the scrim of chaos. I have come to understand it as a failing of mine and have ceased to be proud of it, but I still go there, the potential pay-off sometimes still irresistible. After some all-out bursts of effort, I found myself back on track, with only the possibility of being swept onto the rocks of the jetty, still a pain to scrabble but a fine choice nonetheless. “No quiero ayuda!” I kept yelling, dead set against being brought back on a wave-runner now that I was confident of my aquatic victory. He didn’t give up on me though and now I was trying to swim away from both the current and him. Finally reaching the surf break, I caught one last wave on the boogie board, which carried me triumphantly ashore, as if on a wedding sedan chair, to my group. And that’s when the real trouble started. It’s is odd feeling, like attending one’s own funeral, standing off to the side while five people are standing and yelling at each other in Spanish, English and Spanglish over something you caused. You want to say something, apologize or defend yourself, but no one can see you as engaged as they are in talking about you. The best I could piece together from the flying idioms was that my friend saw me out there from the palapa and called the lifeguard, who was now yelling at her for calling him, and she was arguing back at him that retrieving errant swimmers was his job (I think that’s what she said) and she wanted his badge number, while the others were trying to calm her down. Then they'd turn to argue the situation among themselves. As I stood off to the side ignored, I reflected on my week. The dog-sitting the week before had entailed caring for two standard poodles. One young, the other old for the breed. One afternoon I was rough-housing with the younger dog, grabbing his hips and swinging him around, pushing him a bit and making him rush me. The older one joined in happily, barking, running in circles and jumping up on me, nipping at my hands. I noticed later with satisfaction him cleaning his dog dish, one he had only stared blankly at on previous days. I told the owner about it, who reminded me of the slick tile floors standard throughout Mexican homes. I was aghast that I could have caused him a broken bone that might have killed an older dog, worse yet a friend’s dog. In my five days dog sitting, the only time I saw his tail wag was when he was doing something he wasn't supposed to do. Next up: Researching Mexico drove me so crazy I decided to just go ahead and move here and find out myself. Most recent: Being an expat will turn your love-hate relationship with technology into love-love. 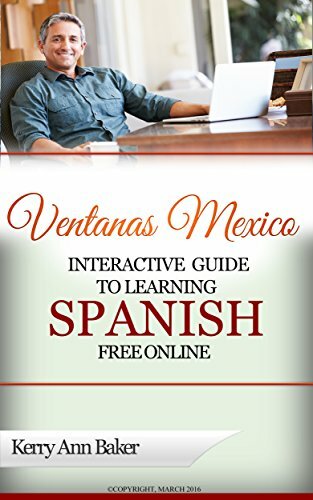 I'm Kerry Baker, a partner with Ventanas Mexico and author of the "Interactive Guide to Learning Spanish Free Online," a curation of the best Spanish language tools on the web written especially for adults considering the expat life full or part-time. 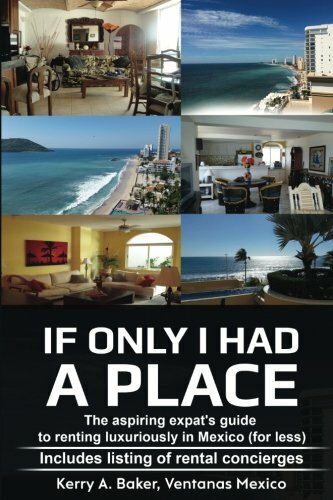 I also recently released "If Only I Had a Place" on renting in Mexico, luxuriously and for less. Aimed at the aspiring expat, it's not just a how-to. It's a system.